I spend much of my time doing work that I view as community oriented. Much of it is not focused on science, but I believe it demonstrates my commitment to performing outreach and to doing work that benefits nonscientific communities. Science is a privilege, and one that has the power to enrich our local communities and to empower the public. 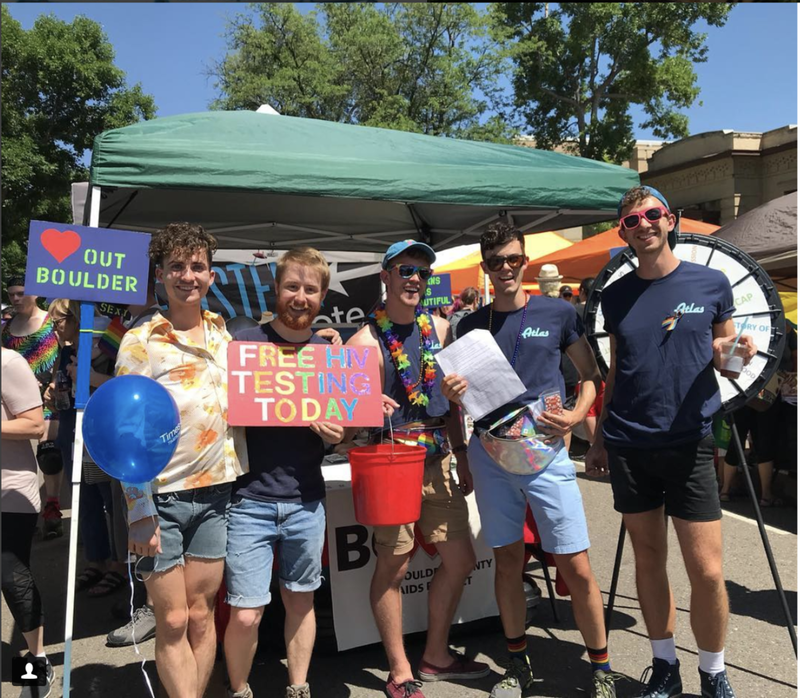 I worked as an intern at Boulder County AIDS Project during my undergrad, and I continue to volunteer with them. I’ve written copy for their Grindr advertisements and rewrote their training modules that aim to teach volunteers about stigmas experienced by marginalized populations—important work for a nonprofit that aims to connect such populations to care providers. I also helped manage and harvest their garden, where they grow fresh vegetables that are available for free to their clients. I now work with Counseling and Psychiatric Services on campus, and in addition to many other duties I have taken over their weekly staff newsletter. I fill it with science tidbits and natural phenomena — I have linked to the Boulder County Fairgrounds Osprey Camera, shared a description of the violet-green swallows that nest in the roofing tiles on campus, and sent out a video of an especially dweeby blue-footed booby. My coworkers are therapists and crisis counselors, and they bear heavy emotional burdens from their clients. I have seen the powerful ability of natural stories to intervene in a stressful and demoralizing morning and give a counselor new strength.